For more than 40 years,Allied has been the main source for sale and repair of Champion (formerly WAGNER ELECTRIC) brand power supply products specified for airborne use. Transformer-Rectifier Units (power supplies) or TRU can be custom tailored to customer specifications. Champion Aerospace has also pioneered design improvements in its power supply line—now with ratings up to 300 amperes. And, by simulating operational environments and stresses in the development process , Champion’s power supplies meet virtually every design objective required by airframe manufacturers. Champion TRU provide rigid physical support, full circuit enclosures, and optimum, uniform heat dissipation. The unique “Y” configuration reduces weight and space factors. This also allows the power supplies to be mounted in any position, fan or blast cooled and have far greater flexibility in termination and terminal locations. Champion TRU are known for reliability (near linear voltage regardless of load variations) and the ability to withstand extremes in altitude, temperature, shock, vibration, and gravity and are They are qualified to Mil Standards controlled by the US Navy (NAVAIR). OEM applications have stood the test of time and combat on aircraft like F-16 and C-17. For avionics upgrades or special mission conversions of military, commercial, and corporate aircraft which require additional DC power, Champion TRU’s offer an off the shelf qualified rugged and economical solution to the need to convert 400 Hz AC to 28 VDC and Champion is working on the next generation 270 VDC TRU for the aircraft of the future. Conventional wisdom says that while unregulated TRU are more robust than regulated TRU or RTRU they have higher DC ripple voltage. With the latest Champion Passive Controlled Transformer Rectifier Unit (PCTRU) this is no longer the case. 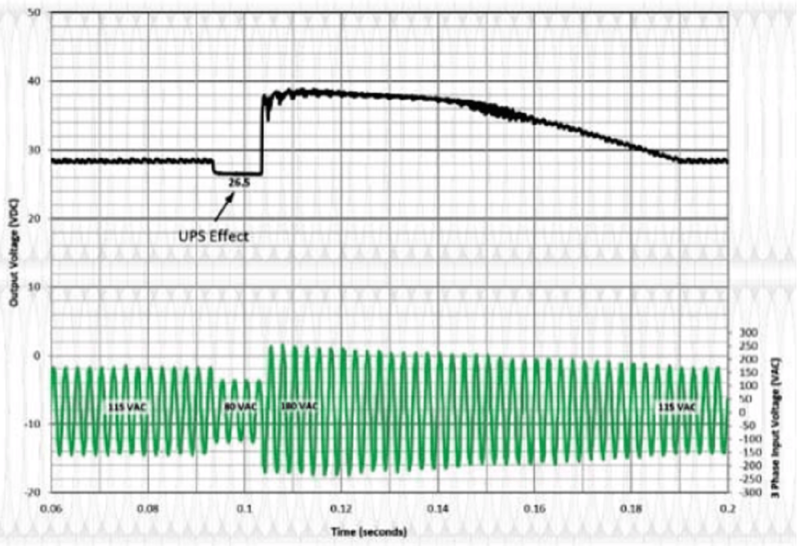 Tests have shown that Regulated TRU DC ripple voltage which meets Mil Std 704 exceeds the 5% noise modulation limits for proper communication function. The real life implication of this level of ripple was noise on the communication line between the pilot and the back of a military helicopter. PCTRU DC ripple Voltage is 90 % lower than RTRU ripple voltage. So the Champion PCTRU provides cleaner and smoother power than either regulated or conventional TRU, without sacrificing the robust reliability of the unregulated TRU. 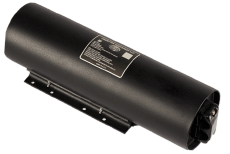 The PCTRU is available as 50 to 300 ampere TRU. 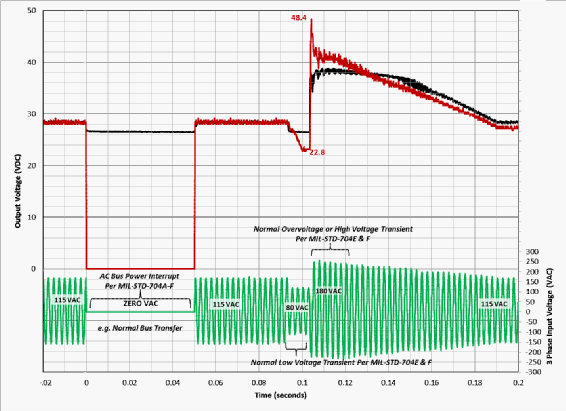 Typically , unregulated TRU DC output is subject to transients caused by frequency variations in the AC input current These transients are suspected of accelerating failure rate of avionics and other airborne electronics. One failure mode is related to fan life. DC electronics cooling fans like to run at constant speed. Since fan speed is a function of voltage, constant voltage changes causes accelerated wear and premature failure of the fans without which electronics overheat and fail.